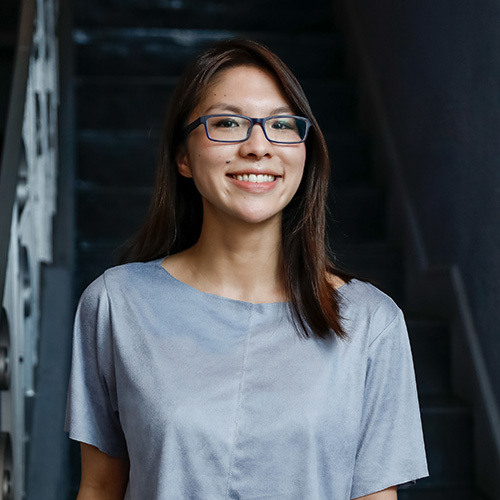 This post comes from Sarah Severson, Assistant Librarian and Coordinator, Digital Library Services at McGill university Library. Sarah led the library’s partnership with Historypin to help local students map out places important to the city’s history. Walking around Montreal it’s easy to get lost in the past looking at all the old buildings. What if you could search for a place on a map and click to see what it used to look like? As a part of Montreal’s 375th anniversary celebrations, we wanted to do just that. 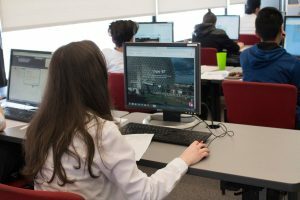 Using an online interactive mapping platform and with special funding support centrally from McGill, we partnered with a local secondary school to explore what kinds of stories our collections could tell when placed on a map. Historypin is a popular online mapping application that allows anyone to pin a photo, story or a video onto an interactive google map. One of the neatest features is the ability to pin a photograph and then line it up with the google street view to give you the ability to see a before and after of a place. So far, we’ve created three collections that each explore a unique moment of Montreal history and we’re excited to do more! To kick start the Historypin project, we invited two different groups of students from Lauren Hill Academy to the library and introduced them to historic materials from our Rare Books and Special Collections. 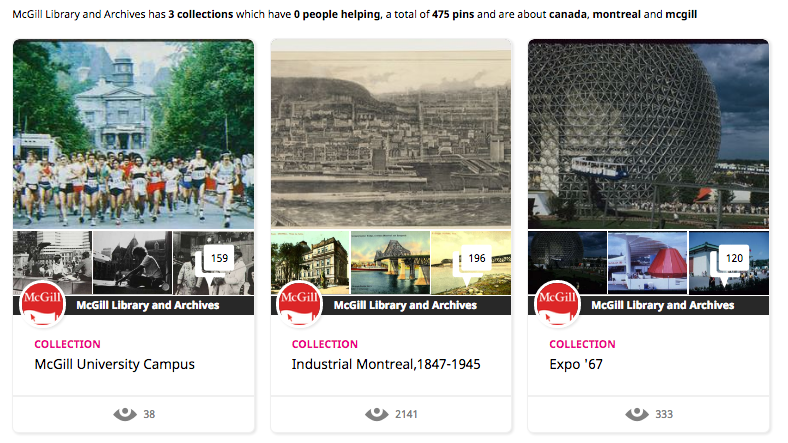 We explored advertisements, architecture images and postcards of the era, then found them on a map of the period (Lovell’s Montreal Directory for 1898-9) and then pinned them on Historypin. What came out of these two workshops was one collection that explores Montreal’s industrial heritage through layers of visual material and artifacts. The second collection started with an Expo ’67 souvenir map and overlaid with photographs from 1967 so we could see how the sites had changed from then to now. Then we took one of our slide collections from the era and had the students locate the various pavilions and sites on Historypin. One of the neatest features of the Historypin platform is the ability to see a side-by-side comparison of today’s street view with the pinned image. One fun way to explore the Historypin collection is to take one of the tours we created that follows the path a visitor may have taken while exploring the fair grounds and viewing the pavilions. 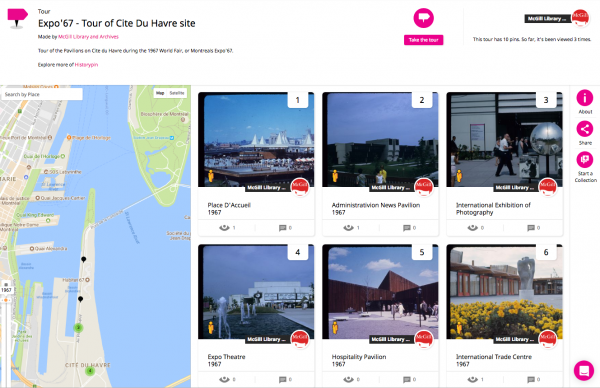 The first tour Cite Du Havre site starts you off by entering Expo’67 through the same gates original guests would have gone through. For our third collection, we dug deep into our own history and clipped out photographs from old McGill student publications, yearbooks and postcards to show how the downtown and Macdonald campuses have changed over the years. Play with the slider function on the image below to see the before and after shot of the fire that destroyed the Engineering Building in the early 1900s. Have your own photos of campus you want to add into our collection? Pin away! We invite you to share your own person photographs and stories about the campus by adding them to our campus collection. Now it’s your turn to add your own images to the map, comment on pins you see or just explore what the city used to look like. Have fun! Note: To contribute, enter into any of the three collections linked to in this post and click the “Add pin” button. You must create a free Historypin account to do so.